Add additionl wireless mics to your Bigfoot, Beacon, Liberty, Go Getter or MegaVox sound systems. The receiver plugs into the wired mic input of your sound system using the included XLR cable. Each of these systems has two mic inputs allowing for additional mics to be added to the system. 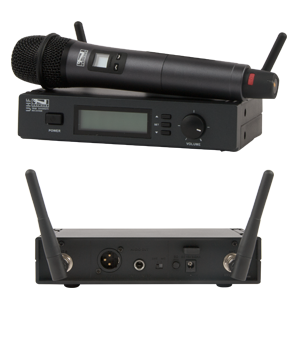 Typically thought of as a wired mic input, go wireless with the UHF-7000 Receiver and transmitter set! 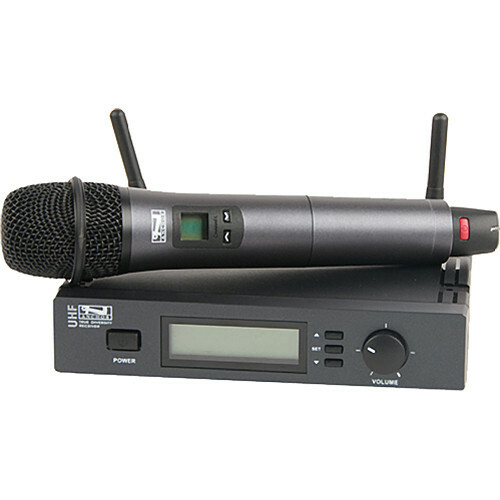 The UHF-7000US/HH is an external wireless receiver/Tx with a wireless microphone (WH-7000). This accessory can be used as an external wireless receiver with all Anchor Audio products except the CouncilMAN, ProLink, and PortaCom. 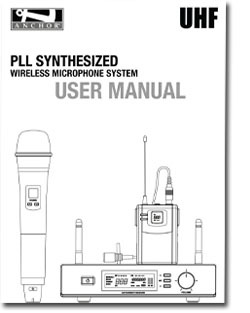 The UHF external wireless microphone system operates in UHF band frequency with synthesizer control. The system has 700 selectable frequencies via Phase Locked Loop (PLL) circuitry, which makes it easy to choose channels without interference. In short, the system has the ability to set an interference-free channel by the auto-scan programmed search feature. The number of frequency channels depends on local regulations. The system also comes with a 2' XLR (3 pin) and a half rack mount.